Save the Eagles International has been blowing the whistle on bird slicing wind turbines since its foundation in 2011, and I personally since 2002. Most ornithologists, affected by conflicts of interest, have been denying all along that species of rare birds could face extinction because of the installation of wind farms in their environment. New findings prove they were wrong. 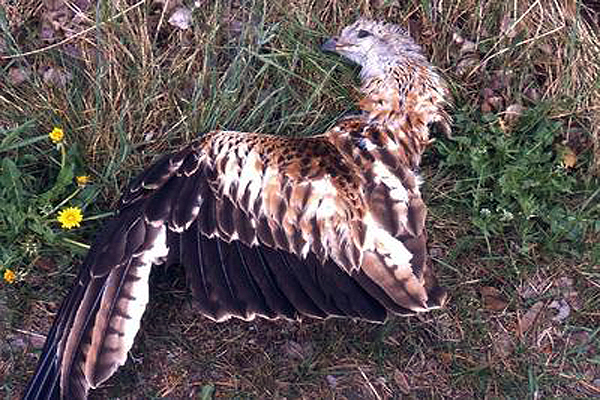 Red kite sliced by wind turbine in Germany. At their tips, the blades can reach speeds of up to 190 mph. 1) – A study found that wind farms may tip some rare species into accelerated extinction. In other words: if the causes of the decline are not removed, extinction will follow in Southern Spain. But how can we stop poisoning? Spanish authorities have had little success with the hunters and farmers who lace carcasses with poison to kill foxes and other predators. A more vigorous enforcement of existing laws is therefore necessary, and new ideas are welcome for stopping that harmful practice. As for wind turbines, it would be relatively easy to stop the massacre: by dismantling those wind farms that kill Egyptian vultures. Dismantling entirely, because removing only the most deadly turbines will not bring the expected results: the ones next in line would then become the top killers. Before anything, there is no excuse for installing new wind turbines in the distribution range of these birds, let alone their breeding areas. Neither is it acceptable to re-power ageing installations with new turbines. The impact of wind farms must be reduced, not maintained or increased. At this juncture, it is important to keep in mind that raptors are attracted to wind turbines, which increases their chances of being killed. 2) – Yet the regional authorities continued authorizing new wind turbines. Last but not least, they question the validity of “studies aimed at minimizing the impact of wind farms, or the existence of “intelligent” wind turbines which would avoid the collision of birds. Such works are indeed financed by wind and electricity companies, and entrusted to entities accused of conflict of interest, such as the Migres Foundation.” (see above for the link to the article). It’s all pretty clear: the Egyptian Vulture will soon go extinct in Andalusia because of wind farms. Note: Andalusia is a region-state of Spain that is as large as Portugal. 3) – Alas, Andalusia is not alone. The government of Extremadura has just authorized its first wind farm. It will be built less than 5 km from the nest of a breeding pair of Egyptian vultures, and within the range (about 15 km) of 30 more pairs of that endangered species, which nest in the nearby Monfragüe National Park. 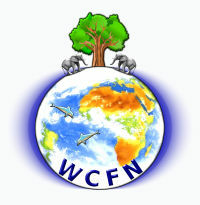 The project will also take its toll on other protected species: black vultures, griffon vultures, black storks and 5 species of eagles, all breeding in the national park or the surrounding biosphere reserve. In addition, the wind farm area is surrounded by roosts of red kites which migrate there every year from France, Germany and other EU countries. Five of these colonies, hosting between 500 and 800 red kites in total, lie between 4.5 and 11.5 km from the project area, which is part of their foraging grounds. The Lesser Kestrel, a “priority species for funding under LIFE”, is also concerned: 44 – 55 pairs are breeding less than 5 km from the wind farm area, well within their range of 9 km. There will be a massacre of these threatened species, some of them listed as “endangered” in Spain, and one worldwide (the Egyptian vulture). But as in Andalusia and many other regions of the world, decision makers don’t pay much attention to collateral damage from wind farms. They simply rubber stamp the doctored environmental impact studies provided by the promoters. 4) – Is the Egyptian vulture the only species threatened with regional extinction by wind farms? In other words, its regional extinction in Andalusia will contribute to push the species towards extinction worldwide. 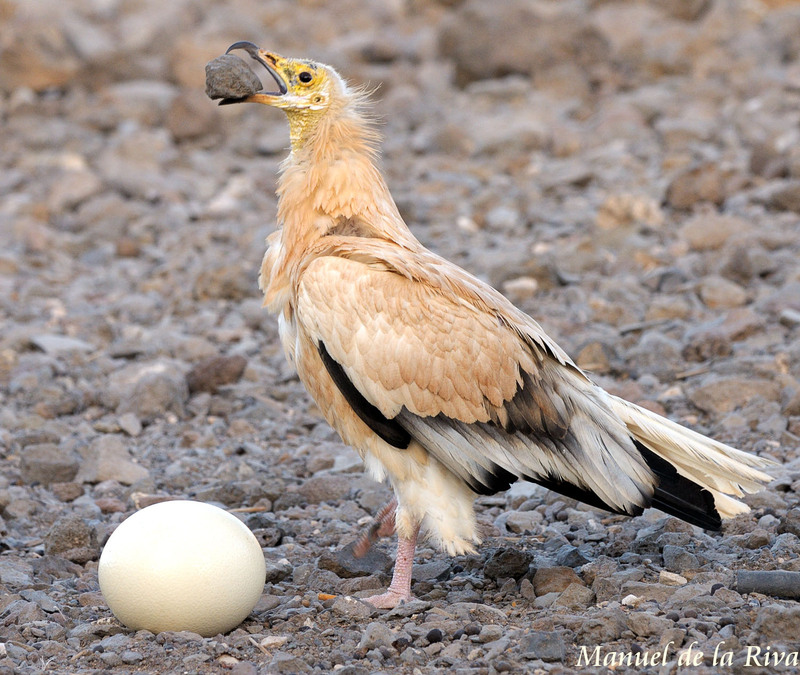 At the last census, only 23 breeding pairs remained in Andalusia. Since then, at least four of these rare birds were killed by wind turbines – see ARTICLE in section (2) above. It is no exaggeration to say that the extinction of the species in the region is “in progress”. I can only hope ALL ornithologists will accept without delay that wind turbines are of a huge danger for the birds. Not only in Spain but in ALL countries. I live in the San Gorgonio Pass where there are 4000 wind turbines. These are set up in a forested area at the edge of the Whitewater river in the desert–and they kill an untold numbers of birds and bats. A once thriving bat canyon nearby has been totally and completely decimated of life. Before the turbines were installed in the 1990s they would fill the moonlit night skies in huge numbers. An annual invasion of Turkey vultures also occurred before the wind turbines were erected. The cottonwood trees in the canyon would be almost black because of their great number. After the turbines went in above the canyon, the annual October invasion of Turkey vultures came to a complete halt, and they never returned because so many of them were killed by the many wind turbines that now guard the ridge lines of this one peaceful, beautiful water canyon. Disgusting,–and it should have never happened. Wind turbines ruin every place they are constructed, and kill and displace wildlife for the duration of their existence. This isn’t surprising, and it’s sure to draw standard wind-nerd denials, including talk of house-cats thousands of miles from Spain. If any other cause can be found they’ll change the subject to it. They don’t know the meaning of cumulative impact, or choose not to think about it. When forced to actually address these deaths, their typical “solutions” are implausible techno-fixes or shutting off turbines against operator wishes. Some attempts are made to use radar to detect birds and shut down turbines, but it seems impractical and I bet data is fudged. With marginal output to start with, they can’t be constantly stopping and starting those giants for random birds. You must also know that bats are drawn to wind turbines and taking a global beating. It’s annoying to see quasi-environmentalists constantly denying the ugliness, noise and lethal nature of these flyway gauntlets. Two of the worst wind shill sites are CleanTechnica and ClimateCrocks. Try posting anything anti-IWT there and you’ll get blade-struck or banned. The excuse that since cats kill a lot of birds it’s ok for industrial wind turbines to kill birds is pathetic. Most bird kills are small birds by feral cats. 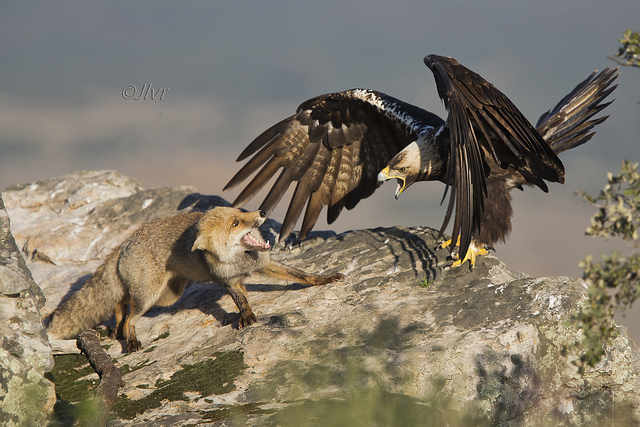 Cats don’t kill eagles and other raptors. I observe a Bald Eagle nest via the internet in Pennsylvania and I have seen the eagle pair feeding cats to the chicks. If less eagles were killed by wind turbines we would have a natural way to reduce feral cat populations and protect small birds. Since the year 2000, industrial wind turbines have overtaken all other causes for mass mortality events for bats in North America and Europe. Millions of bats are killed each year at a time when mosquito populations are skyrocketing. Approximately twice as many bats are killed as birds, since bats are killed even if they only come near the blades due to rapid pressure changes. In the US, a conservative estimate of bat mortality indicates that at least 4 million bats have been killed by wind turbines since 2012. Bats are one of nature’s primary natural defenses for keeping mosquito populations in check. One bat can catch up to 1,000 mosquitoes in just one hour, likely several thousand in a night when mosquitoes are abundant. Scientists estimate that 90% of the hoary bat population could be lost to turbines in the next 50 years. Industrial wind turbines provide an unreliable and fluctuating source of power that is expensive to store . In South Australia, electricity costs have soared to over $0.47 per kilowatt hour because of industrial wind turbines. That’s about four times the average cost of electricity in the US. Urban worshippers of “renewable energy” simply ignore pleas of bird and bat extinctions by real ornithologists. Wind power purveyors use the strategy of eradicating annoying protected species, (this is happening in Hawaii), thereby giving “whistleblowers” and anti-wind turbine warriors nothing to complain about. Welcome to the “Brave New World”. This chapter in our collective history will bring shame to politicians who all must be named for allowing this to happen as well as to all non governmental agents/operatives who manipulated behind the scenes to force industrial scale wind turbines on our rural communities. After spending the past four years (seven days a week) trying to seek protection for human beings being harmed, I fully understand the sheer frustration of people who have been working hard to protect any and all wildlife from being harmed. The grief of knowing what the mainstream media refuses to report and what politicians refuse to acknowledge is so real for people advocating for protection to the innocent. Knowing the IPCC deception that was used to brainwash people into accepting all of this collateral damage only makes the frustration levels higher. What “deception” would that be, exactly? CO2 is a well understood primary heat-trapping gas and Man is now the main source of it above natural levels. https://www.nasa.gov/topics/earth/features/co2-temperature.html (doubters have been misdirected by the “trace gas” label, when it’s actually quite powerful because it modulates other GHGs). Global warming “skepticism” doesn’t help the anti wind power cause get scientific traction. Wind power is merely a continuum of longstanding industrialization via fossil fuels. It’s a “fossil fuel extender” in green packaging. No need to pit one issue against the other in the name of politics or tribalism. We have entered a global cooling period which could last anywhere between a few decades of mini-ice age and a fully-blown ice age lasting 100,000 years. Soon there will be no more heated discussions about “global warming”. The predictions of the IPCC have not materialized. Worse: after a plateau of nearly 20 years, world temperatures are starting to fall. To top it all, government-paid climate scientists have been caught falsifying results to show warming where there was none. Seeing is believing. Unproven theories on CO2 just don’t wash any more. Ignore the binary-minded pundits who say that the ocean is still alkaline — it’s not quite alkaline enough, and becoming even less so. The first clause of Energiewende was to get rid of Fossil Carbon’s only viable competitor, civilian nuclear power, which neither at TMI nor in Japan killed anybody. Panic evacuation from Fukushima in the long run seems to have killed 1600 people, but NOBODY died at the reactors. Chernobyl is known to have killed 28 people, but it was the RBMK design, known to be dangerous, and deliberately subjected to a known dangerous condition, against what the operators knew, by distant Soviet authority. Fifty years ago, surveys showed that 30% of the population (in my case, Australia) held beliefs at odds with extant evidence. Today this is now around 60%. Hence, the traction achieved by Maurice Strong’s IPCC AGW paranoia. My own research shows that, not only are people starved of valid information (ie corporatised universities, schools, the media), they are actually brain-damaged due to malnutrition, food toxicity, and vaccinations (ie the brain-damaging affects of adjuvents, and alternative gut flora colonisations which produce toxins or pseudo-hormones). There was five times more CO2 in the Jurassic, which was arguably the healthiest time for life diversity in this planet’s history. Various islands (ie Kiribati) are sinking, not being subjected to oceanic rise… yet no scientist ever contradicts the daily lie in the media. My theory is that the oil corporations and the investment bankers who own these (Rothschilds, Rockefellers, et al), want focus on industrial carbon to tear our gaze away from the oceans which they are poisoning with chemical fertilisers and plastics. Secondly, this green cult destroys manufacturing, which enables them to expedite the national economic destruction caused by their free trade ideology.